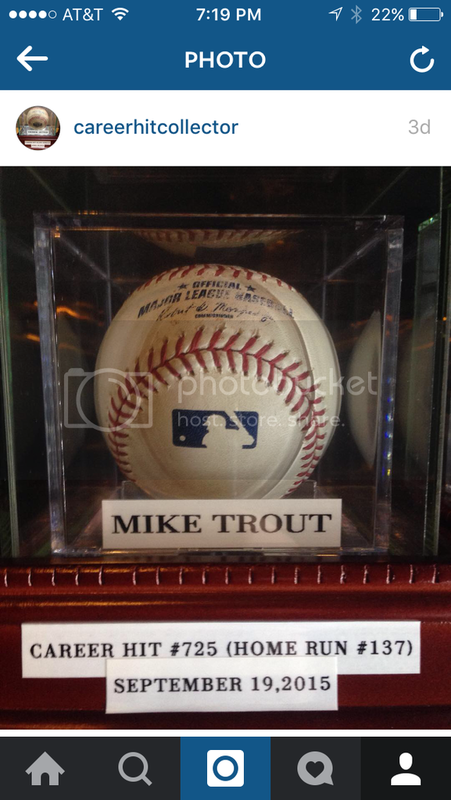 Here are a few pics of my small game hit ball collection. Please feel free to post your pics as well. I know people think actual balls are kind of boring and all look the same, but I love seeing whats out there. 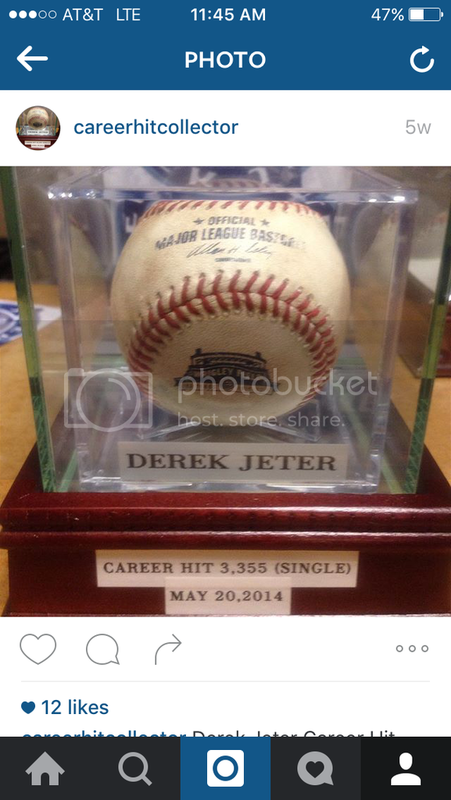 My Jeter post 3K Hit balls. All singles except the double. 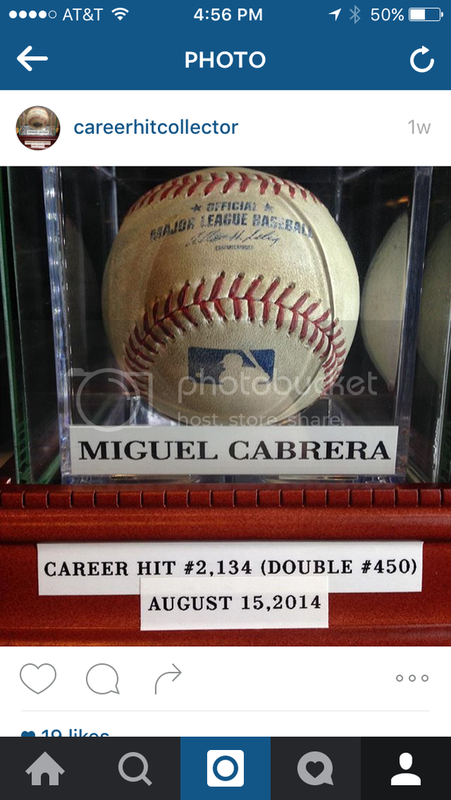 The Wrigley logo ball was hit in his last ever series at Wrigley Field, and the double was hit on Fathers day of his last career game at Oakland. Your collection may be "small" but size doesn't matter in this instance! The quality of your collection is outstanding! Nice displays and thanks for posting!! Awesome collection and I followed you on Instagram after seeing it. The only hit baseballs I have that I am attached to are my Chipper Jones hits. 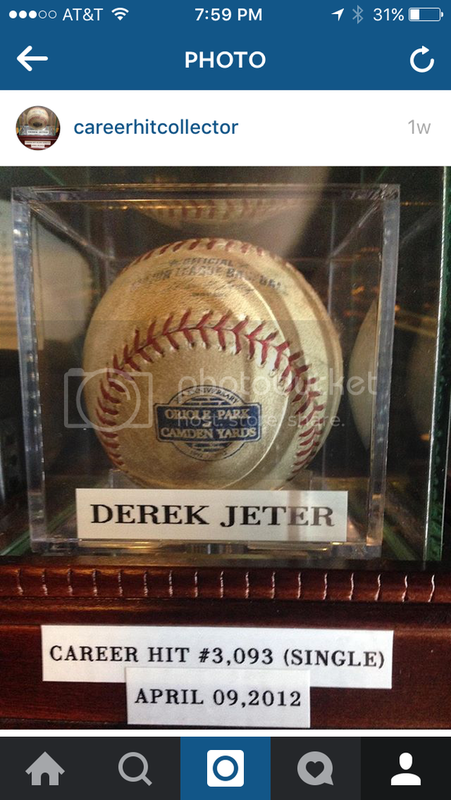 Always looking for Chipper Jones game used bats and authenticated hits and MLB authenticated commemorative logo basballs. Thank you!! As I stated please feel free to add any collection pics into this thread. 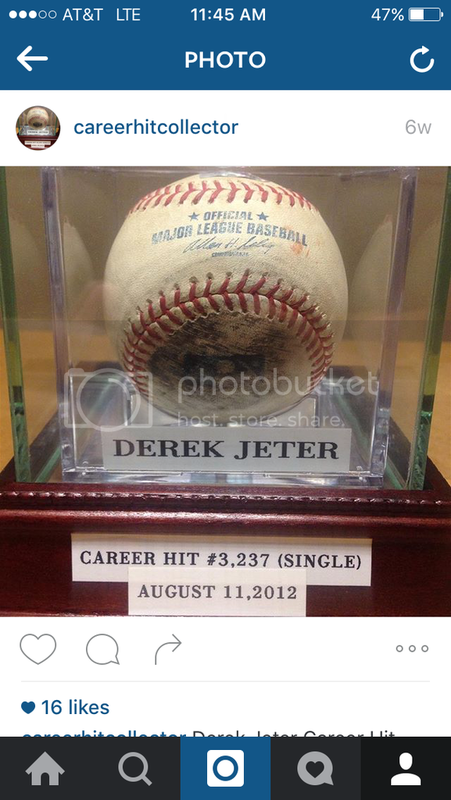 Always looking to add to my hit collection of his! Here is the Schoop homerun. Posted is a ball from a highly hyped prospect who was in baseball for only one year (last year today, I believe) despite all the attention he received. He was traded several times and tried out for multiple positions. 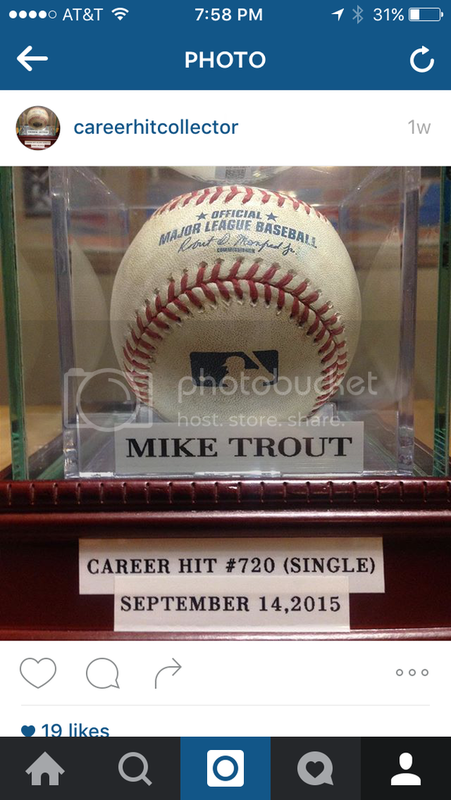 With this ball he struck out for the Cubs in one of only two at-bats in his career. I guess he decided he was more suited to a career in acting. 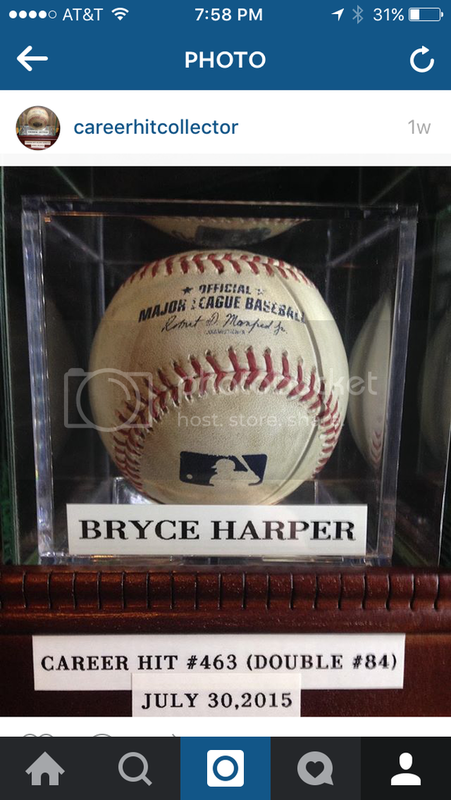 I was fortunate to get the last hit of Bryce Harper's record setting 2015 season which was a double at CitiField on October 4 2015 in the 9th inning of the last game. It gave him the OBP crown, and helped his OPS. 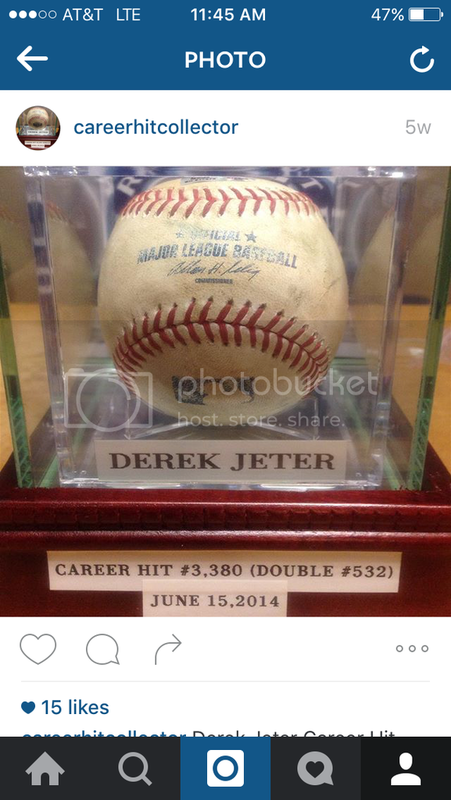 He fell short in the last few days of the season on the Batting Average crown and of course won the unanimous MVP. 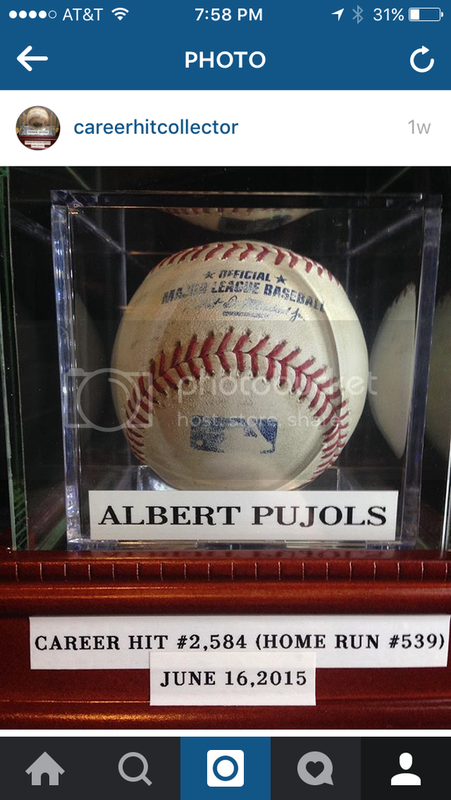 I hope to get the clubhouse manager to add the stats to the ball like he does with significant baseballs. Nice stuff guys! Keep the pics coming!